to multiply and reproduce. 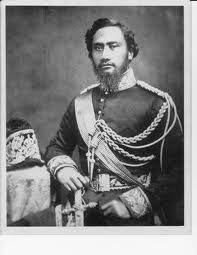 Kapu was part of a Hawaiian system of laws, which, if violated, met with instant death. These cattle flourished and soon became a nuisance because of their rapidly growing numbers. As they spread up into the mountains, they made farming increasingly difficult for the Hawaiians. By the time the kapu was lifted in 1830, they had ruined many crops, and forests and farming were in decline. That year Kamehameha III – the younger son of King Kamehameha – realizing the potential of cattle production, invited 200 accomplished Mexican Vaqueros, of Mexican, Indian, and Spanish decent, to teach Hawaiians horsemanship and cattle roundup skills, this was fifty years before the cowboy culture of the mainland's Old West. These Vaqueros were from Southern California, which, at the time, belonged to Mexico. 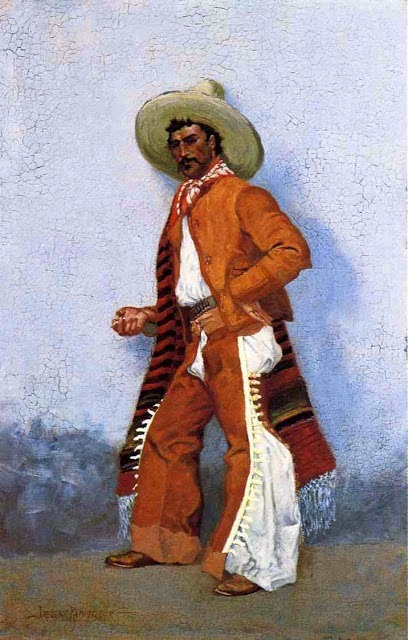 Their Hawaiian students became known as Paniolo, from the Spanish word "Pañuelo" in reference to the handkerchief that the Vaqueros wore around their necks. Hawaii's Paniolo history is a rich multi-ethnic story of hard work in rugged conditions, ingenuity, perseverance, love and respect for the land. In 1908, Eban "Rawhide Ben" Low, a Hawaiian rancher paid the steamer and rail fare for three Paniolos, (Ikua Purdy, Archie Ka`aua, and Jack Low), to enter the Cheyenne rodeo, the premier rodeo in the United States at that time. It attracted cowboys from all over the United States. On August 21, 1908, the Cheyenne Daily Leader front page newspaper headline read "Ropers From Hawaii Cause Sensation". 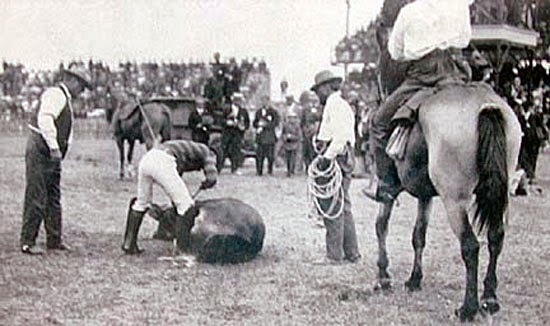 The story said that three Hawaiian Paniolo entered the Frontier Day, Cheyenne rodeo, and Kohala-born Paniolo Ikua Purdy was proclaimed the world rodeo steer-roping champion. 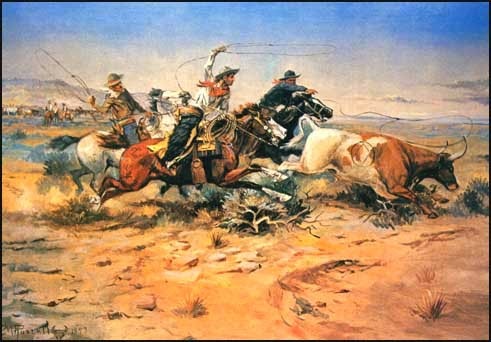 The fact that these men came all the way from Hawaii and won, invaded the heart of the American cow country and taught the white ropers a lesson in how to handle steers. This event placed Hawaii on the cowboy map. Today, these same values are nurtured within the rural ranching lifestyle that is so much a part of the state. 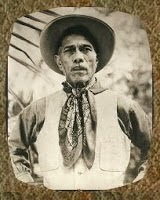 Prior to his death Purdy (1873-1945) served for twenty-four years as foreman of the Ulupalakua Ranch in Hawaii. He was inducted into the Rodeo Cowboy Hall of Fame in 1999. John Parker founded the Parker Ranch, the largest privately-held ranch in the U.S., in 1848. 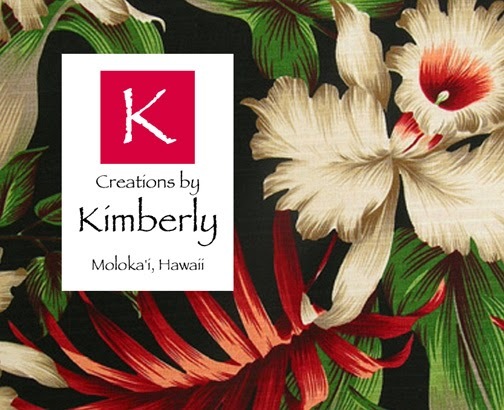 Ranching has been a major exporting industry for Hawaii since. Many of those Mexican cowboys stayed here and got married. That’s one reason many of Hawaii’s Paniolos have Spanish surnames. They remind us of the legacy left by those Vaqueros that roamed these islands 184 years ago. Today the cattle industry is one of the longest-sustained industries in Hawaii with over 1 million acres of land in Hawaii, or 25% of the State's total land mass. The Paniolo of today dress in the same jeans and jackets you might see on their cowboy counterparts in Texas or Montana, but they often pair them with bright Hawaiian shirts, wraparound sunglasses, and a baseball cap instead of a wide-brimmed sombrero. Vaquero immigrants from Mexico not only shared their horsemanship and cattle roundup skills with Hawaiian Paniolo, they also shared their food culture. Eventually their food evolved into Paniolo food, just another example of Hawaii's culinary "mixed plate". For example, Huevos rancheros, a hearty Mexican breakfast dish consisting of corn tortillas, eggs, refried beans, salsa, etc., was loved by the hungry Paniolo, however the Vaquero's hot sauce was replaced by Hawaiian chili pepper water. Another Vaquero dish adopted by the Paniolo was Pipi Kaula, basically beef jerky. However, the Hawaiian Paniolo didn't just dry the thin beef slices, they added soy sauce to the marinade, along with Hawaiian chili peppers, and fresh ginger, then they dried the beef for 2 days in the sun. 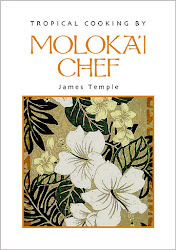 This recipe is still being used today at the Polynesian Cultural Center. 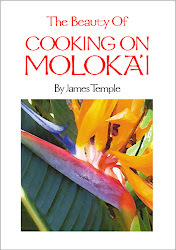 'Opihi Makaiauli, is a well known shellfish (limpet) found on Hawaii's rocky shores. "Opihi can be very dangerous to collect giving it it's name "the fish of death". This variety, one of three, lives on rocks above the waterline. Paniolo collected them for nourishment while driving their cattle along the Big Island's rocky shores. They soon became known as "Cowboy Opihi". Opihi are the little black shells, the shape of a Chinaman's hat, that cling to the rocks along the shoreline here in Hawaii. They are extremely hard to come by now because they have been over-harvested. 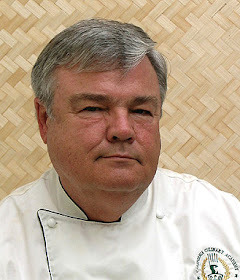 Hawaiians usually eat them raw, or barbecue them after marinating them for 10-15 minutes. They have a rubbery texture and taste salty like the ocean. Opihi are sometimes referred to as "poor mans abalone". Put opihi in a bowl or large ziplock bag. Add vinegar, water, garlic, salt, chili pepper. Marinate for 10-15 minutes before grilling. In a small dish, melt butter, add shoyu and mix well. While grilling Opihi, meat side up, drizzle butter-shoyu mixture on them just as they start to separate from the shell. Makes 4-6 servings. Set your oven to broil on high. Line a baking sheet with aluminum foil. Spray each poblano pepper with cooking spray, ensuring that all surfaces are covered with the spray. Place the peppers on the aluminum foil lined baking sheet. Broil for about 5-10 minutes per side or until the skins are dark and bubbly. The entire skin doesn’t need to be dark but to ensure that the skins are easily removed, the majority of the skins should be dark and bubbly) I also recommend leaving your oven slightly cracked open so the peppers to not burn too much. You want them to be crispy but not burnt. Remove the peppers from the oven and place in the bowl. Cover and set aside for 15-20 minutes. Put on your gloves and start removing the skins from the peppers. Remove as much of the skin as you can and then run the pepper under cold water. The water will help to lift more of the skins off. Remove the cap and gently remove any of the seeds. You can also do this under running water. Be sure to be gentle with the peppers while removing the skins and the seeds. They are delicate and will break easily, but that's ok because now you need to chop them into into 1/2 inch dice. Set peppers aside. Make chili sauce: Place olive oil in a large saucepan over medium-high heat. Add onions, oregano and garlic and saute until onions are soft and fragrant, about 8 minutes. Add stock and roasted poblano chilies and bring to a boil, then lower heat to a simmer and cook until reduced by about ⅓, about 15 minutes. In a small cup, combine cornstarch and 2 tablespoons water, stirring to form a smooth slurry. Add slurry to chili mixture, stir and let simmer until sauce is thick but pourable, about 15 minutes. Season generously with salt and pepper. Keep sauce warm over low heat until ready to serve. Warm pinto beans in a medium saucepan over medium heat. Season generously with salt and pepper. Decrease heat and keep warm until ready to serve. Fry tortillas: Heat ½ inch canola oil in a large skillet over medium heat until shimmering. Use tongs to dip 1 tortilla into oil until it softens, about 3 seconds. Remove and set aside on a paper towel-lined plate. Repeat with remaining tortillas. Cover plate with a kitchen towel to keep tortillas warm. Pour most of oil out of skillet, then place skillet back over medium heat. Fry eggs, two at a time, until over easy, about 5 minutes. Season with salt and pepper and set aside. Repeat with remaining eggs. To serve: Divide warmed tortillas among 4 plates. Divide beans and eggs evenly among tortillas, then top with green chili sauce, tomatoes and cotija, or grated Monterey Jack cheese. Season with salt and pepper. Makes 4 servings. Cut the pipi (beef) into thin strips (see note below). Combine all other ingredients and marinate pipi in the sauce overnight. If you have a drying box, place the meat in the hot sun for two days, bringing it in at night. If drying in the oven, set oven to 175˚F. Place pipi on a rack such as a cake cooling rack. Place rack on a cookie sheet and dry meat in the oven for about 6 hours. Keep dried pipi in the refrigerator. Note: When cutting the pipi, it helps to partially freeze it, which makes cutting thin slices much easier. Pick over pinto beans; rinse. Place beans in a large bowl; cover with water and let stand overnight in refrigerator. Drain before cooking. Place drained beans in a large Dutch oven or pot; add water to cover. Bring to a boil; reduce heat, cover and simmer for about 45 minutes, or until beans are tender. Bean skins should burst when you blow on a few in a spoon. Add tomatoes and simmer for 5 minutes. Set beans aside. 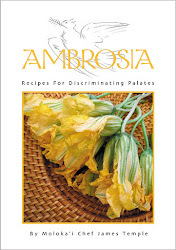 In a skillet in 2 tablespoons of vegetable oil, sauté chopped onions and bell pepper until soft, stirring frequently. Add garlic and chopped parsley. In a large skillet melt 3 tablespoons butter; or margarine and brown ground beef lightly. With slotted spoon, transfer beef to the onion mixture; stir in chili powder and cook for 10 minutes. Add beef mixture to beans and stir in pepper, ground cumin, and salt to taste. Cover and simmer for 1 hour. Remove cover and continue cooking for about 30 minutes. Skim off excess fat before serving pinto bean recipe. Makes 8 servings. Mix the cornstarch and flour, salt and pepper together and dip the ahi belly in the dry mixture and deep fry in heated oil until crispy brown. Mix ginger chili sauce and dip the crispy ahi belly and serve hot, garnished with chopped green onions. Makes about 4 servings. Preheat oven to 350˚F. In a large frying pan at medium-high heat add a tablespoon of oil. When the oil is shimmering and hot (not quite smoking), add a corn tortilla to the pan. Cook it for 2-3 seconds, use a metal spatula to turn it over, and cook it for 2 to 3 seconds more. Lift up the tortilla with a spatula, add another tortilla underneath. Cook the second tortilla for 2-3 seconds, lift both tortillas, and add another tortilla underneath. Repeat the process with all the tortillas, adding more oil as needed. This way you can brown and soften the tortillas without using a lot of fat. It's important to pre-cook the tortillas because not only does cooking them help soften them for rolling, cooking them in a little fat helps develop the flavor of the tortillas. As the tortillas brown a little, remove them to a plate. Heat olive oil in a large sauté pan on medium heat. Add the chopped onion and cook for 5-6 minutes, until translucent. Add the garlic and cook for a minute more. Add the crushed tomatoes. Add the green chiles. Add 1/2 cup of water. Add the oregano. Bring to a simmer and taste. If the sauce tastes too vinegary, add half a teaspoon of sugar to the sauce. Remove from heat. Put a little olive oil on the bottom of a 3-quart casserole pan. Take a tortilla, cover 2/3 of it lightly with the shredded cheese, then roll up the tortilla and place it in the casserole pan. Continue until all tortillas are filled and rolled. Add sauce to the top of the tortillas in the the casserole pan. Make sure the rolled up tortillas are covered with the sauce. If not, add a little water to thin the sauce to spread it more evenly over the tortillas. Cover the whole thing with the rest of the grated cheese. Put the casserole in the oven for 10-15 minutes or until the cheese melts. Serve with Paniolo Spanish Rice, and Paniolo Refried Beans, and Paniolo Pico De Gallo (recipes below). Garnish enchiladas with cilantro and sour cream. Makes 4 servings. The trick to good Spanish rice is to brown the raw rice first with onions and garlic, and then cook the rice in chicken stock with added tomatoes. Browning the rice give it a nutty flavor. *Check the instructions on the rice package for the proportions of liquid to rice. If your rice calls for 2 cups of water for every cup of rice, then for this recipe, use 4 cups of stock for 2 cups of rice. Heat olive oil in large skillet on medium/high heat. Add the rice and stir it so that the rice is lightly coated with the oil. Cook on medium high heat, stirring often, until much of the rice has browned. Add the onion and cook, stirring frequently another 3 minutes, until the onions begin to soften. Add the garlic and cook until the onions are translucent and softened, about a minute more. To save time you can bring the stock to a simmer in a separate saucepan, with the tomato sauce, oregano, and salt. Add the browned rice to the simmering broth (or broth to the rice, depending on which pan has a cover). Or you can skip the simmering step and just add the broth (and tomatoes etc) to the rice. Bring everything to a simmer, cover the pot and lower the heat to barely maintain a low simmer. Cook for 15-25 minutes, depending on the type of rice and the instructions on the rice package. Remove from heat and let sit for 5 minutes. Fluff with a fork or spoon and serve. Makes 4-6 servings. I like these refried beans because they are quick and easy, and they taste good. I use a potato masher to smash the beans in the bottom of the pot. Heat butter in a medium sized pot over medium heat. Stir drained pinto beans, garlic powder, cumin, chili powder, oyster sauce. Cook until beans are thoroughly heated, about 5 minutes. Stir occasionally. Smash bean mixture with a potato masher to desired texture. Taste the beans and add salt if needed. Squeeze lime juice over smashed beans and stir until combined. Makes 4 servings. Note: If the beans appear too dry, add a little more butter (after all, the real thing is made with lard, not butter). Stir together all ingredients; serve with tortilla chips. Makes 4 cups. This is a spicy blended salsa that can be served with corn chips or over tacos or scrambled eggs. Put all of the ingredients in the base of a food processor or good blender and pulse to combine for 30 seconds or so, until all of the ingredients are finely chopped and salsa is desired consistency. Taste for additional seasoning and adjust if necessary. Makes about 3 cups. This is a multi-purpose island fruit salsa with the addition of sweet white corn. Mix all ingredients together in a bowl. Taste to see if more lime, chili powder, salt and pepper are needed. Makes 3-4 cups.